The Guardians of the Galaxy are back in action! 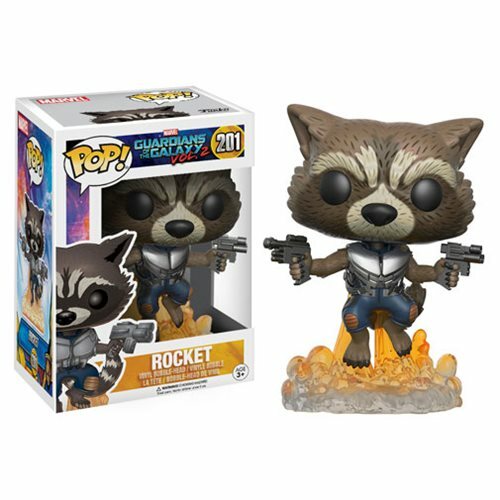 Rocket Raccoon is here to save the galaxy in Pop! vinyl form. Packaged in a window display box, the Guardians of the Galaxy Vol. 2 Rocket Raccoon Pop! Vinyl Figure measures approximately 3 3/4-inches tall. Ages 3 and up.